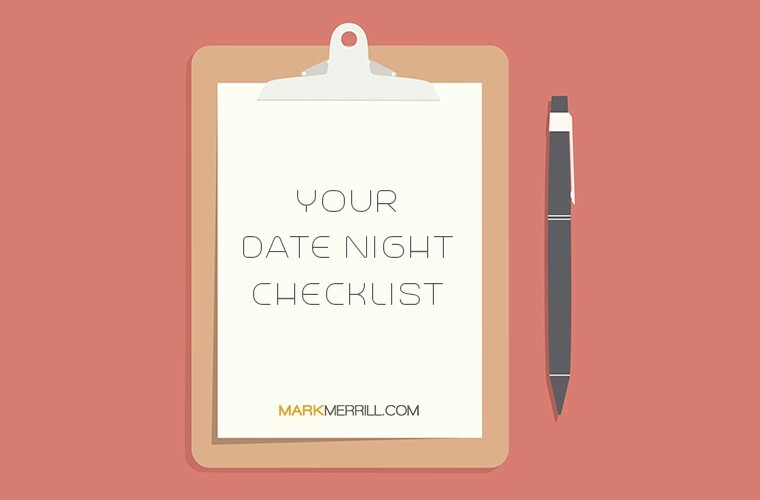 Among the ideas that I regularly offer to couples to build their marriages is a regularly scheduled date night. It seems a simple idea, but sometimes couples need a reminder of things to think about – and not think about – both before and during the date. 1. Avoid the Same Ol’, Same Ol’. Search the Internet for “fun things to do in [your city]” for some unique ideas. Shake it up by going somewhere new, doing something different. 2. Get your family business done before or after the date. It’s tempting to use the date to discuss or to check off your to-do list, but avoid this at all cost. It’s difficult to enjoy your time together if all the cares and concerns of the home and family are on your mind. 3. Clear your mind from work obligations and kid issues. Don’t bring your coworkers, boss or kids along on the date, even mentally. Imagine setting all those issues in a box and leaving it by the front door when you leave. You can always unpack that box later. 4. Plant seeds of excitement and anticipation for the upcoming time together. Let your spouse know during the day(s) leading up to the date night via text, email or sticky note how much you’re looking forward to your time alone with them. 5. Avoid doing things that you are only interested in…unless your spouse is genuinely in doing the same thing for you. You might enjoy going bowling next weekend. But if that’s the last thing your spouse wants to do, it might not be the best use of your time. 6. Be willing to do something your spouse is interested in…and do it with a good attitude. If your spouse is willing to do something only you want to do, then be willing to reciprocate. If you know your spouse would love to go to an art festival next weekend even if it’s not your thing, surprise them by going anyway, but with a good attitude. No one wants to feel they’re dating a martyr. 7. Surprise your spouse. Most people love surprises. And when you’ve done the legwork to create a special night, it can be a lot of fun to surprise and delight your spouse. You might even impress them with your creativity and have a lot more fun doing it. 2. Remember the early days. Spend some time reminiscing about what brought you together and bonded you in the early days. It may help you appreciate their present more. 3. Hold hands. Lock arms. Remember to do the subtle things. Show a willingness for some public displays of affection will remind your spouse and yourself that you’re grateful and honored to be with them. 4. Visit about your dreams. Sharing your hopes and dreams can build a sense of appreciation for the past and expectation for the future of your marriage. Don’t stop dreaming with each other. Need date night ideas? Here are 19 to try. What other things do you try to include in your planning or execution of a great date night? Share your insights in the comments below.